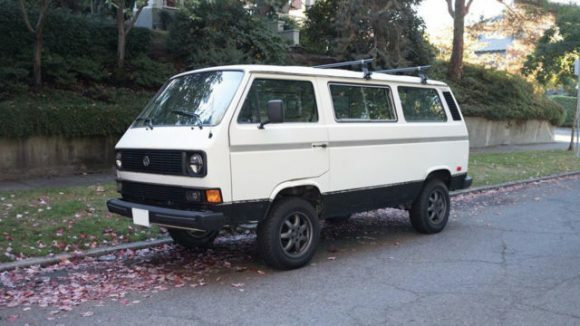 This van is spectacular, but it wasn’t always that way. tim9768 on Tumblr built this thing from the ground up and his work is impressive. Click through to see exactly what he did. You can also see a “before” pic. 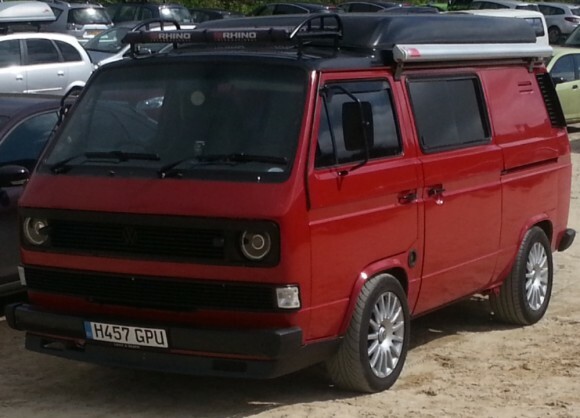 Check out this VW conversion I spotted on CampervanLife. 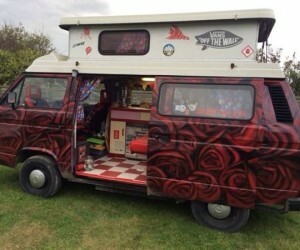 They took a Vanagon and turned it into a food truck trailer. 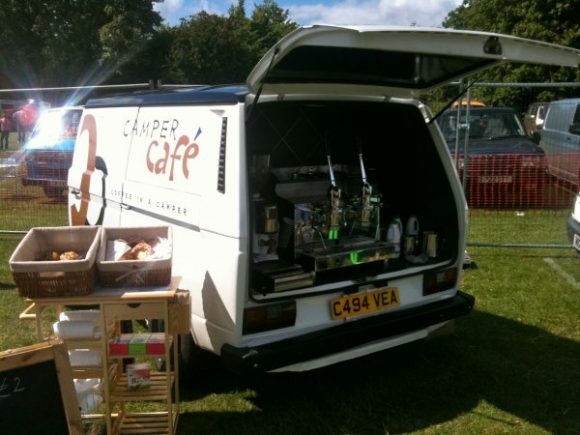 They call it the Camper Cafe and it looks great. I wonder what they pull it with. This van was in pretty bad shape before they restored it, but they sure did a nice job. Click through for another pic and a link to see the restoration photos. 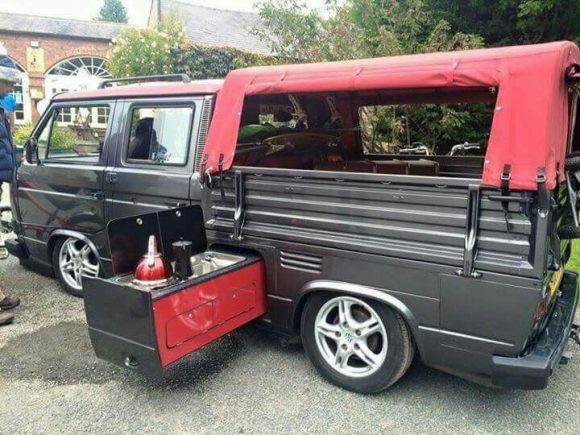 This Porsche styled Vanagon is awesome. 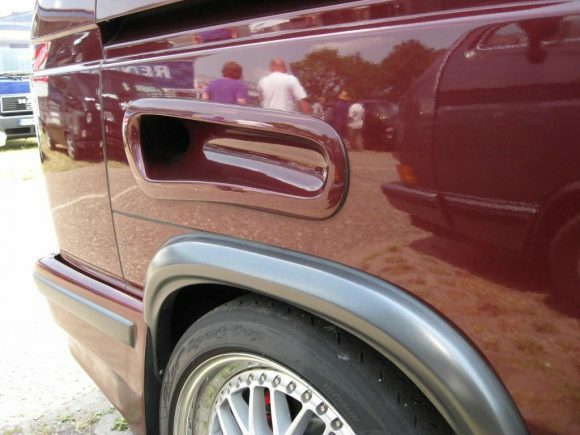 Check out the custom air scoop they baked into the body. It doesn’t get any better than that! This one came courtesy of The Samba. Check it out here for more pics. Here is a nifty idea for Doka owners. How about a slide out kitchen for your tailgating parties? Whoever designed this is incredible. It first appeared on a Russian website, but then made its way to Pinterest. Very cool! I ran across this van by accident. The two tone paint job caught my eye because of how the white angles down in the front. 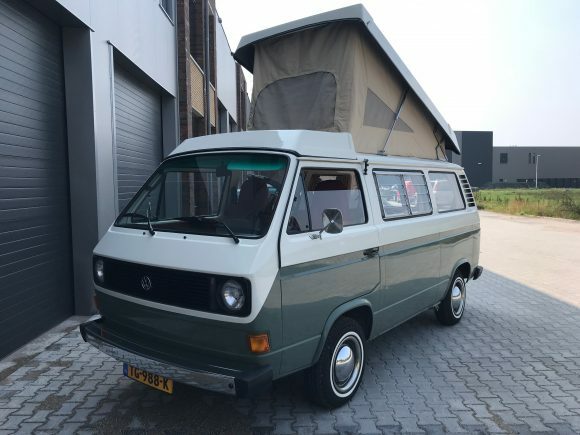 Whoever owns this van did an incredible job restoring it. Click through to see more. The red interior rocks! This replacement pop top canvas from North Westy caught my eye. Matching the van color with the canvas just changes everything. 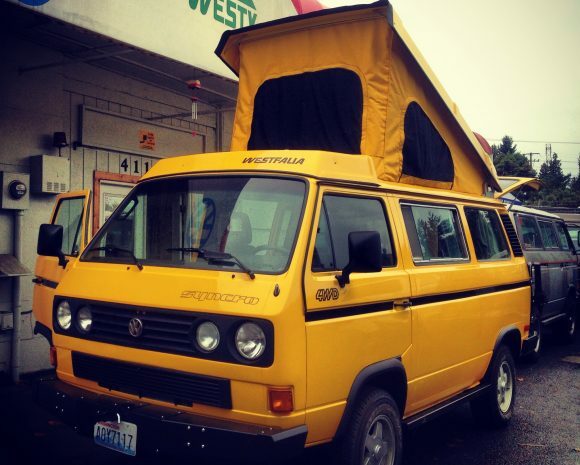 North Westy has several stock colors to choose from and they will even create a custom color for you. Check out their website at the source link below for more info. These canvas tops run between $599 – $699 depending on what you choose. Click through to see a few more colors. 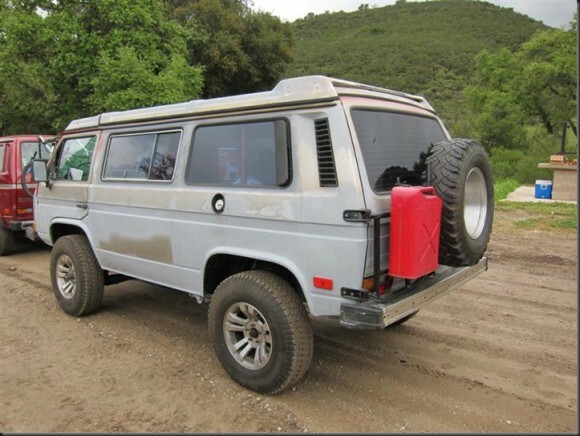 Is it just me or do the tires on this custom Synchro TDI huge? This thing looks like it could roll over just about anything it would come across. 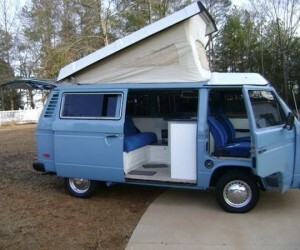 The camper top looks to have been modified with some sort of spoiler too. Very cool. 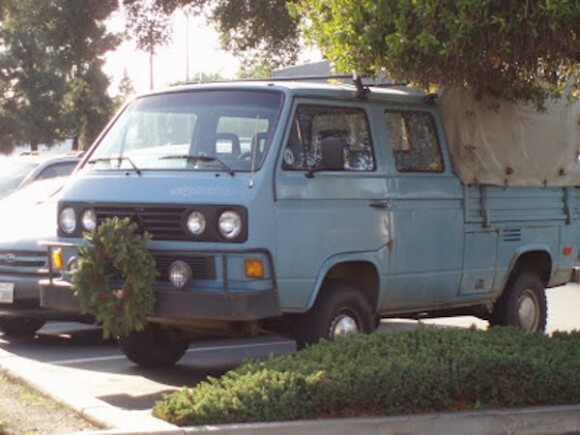 Vanagon owners find all kinds of ways to get in the Christmas spirit. 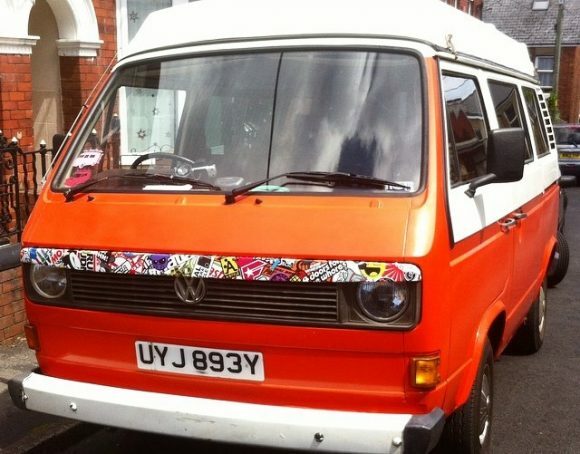 Here are just a few as seen on The Samba! I think I’d go for the wreath, but the lights look great too!